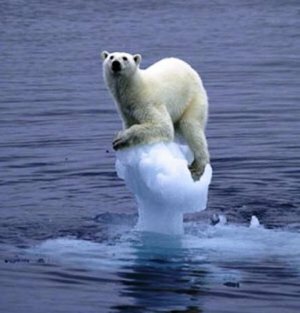 Due to the impact of the Climate Change, Arctic sea ice has melting in the significant speed in a last few years. Melting of Arctic ice will allow vessels to operate without icebreaker ships, which provide the huge advantage in the development of Northern Sea Route. While the utilization of new sea line brings the large contributions to the economy, international tensions over the sovereignty on Arctic resources are increasing. 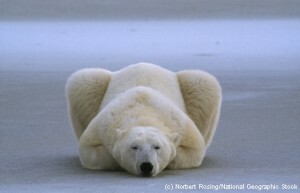 Also, there are large concerns on Arctic ecosystems due to the Climate Change and the development of the passage. 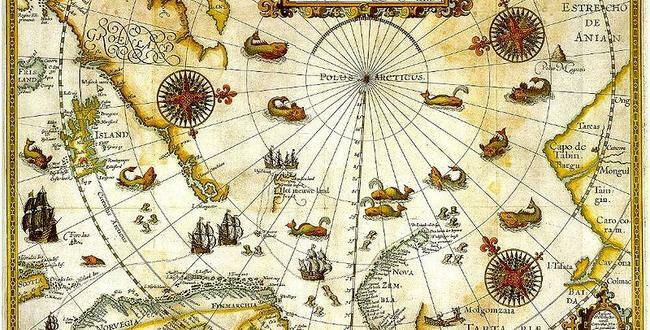 After the 15th century, the attempt to discover the new route from Europe to India and China were made by English, Dutch and Russian navigators. English ships were the first one that made an actual attempt to look for the passage in the 1550s. Dutch navigators also made some voyage during 1590s and 17th century, but only to find these attempts futile. 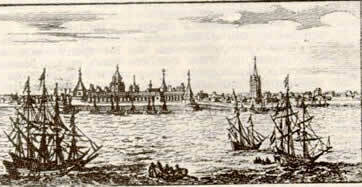 Later in 1700s, there were decline in shipping industry in Germany and the discovery was left mainly to Russia. Vitus Bering, a Danish navigator in the service of Russian Navy explored the eastern part of the Northeast passage, and sooner, the Russian Great Northern Expedition from 1733-43 explored the longer part of the route. However, it wasn’t until the late 1870s that Swedish explore traversed the passage. 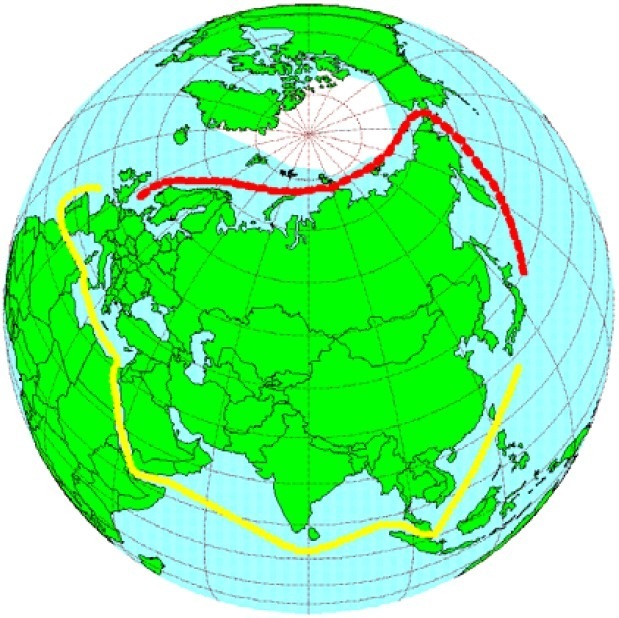 During the early 1900s, icebreaker ships sailed through the passage, and 1930s, the shipping lane, known as Northern Sea Route was finally established by the Soviet Union. The Soviet utilized the passage as a regular shipping route, also, to develop the new ports and natural resources since then. 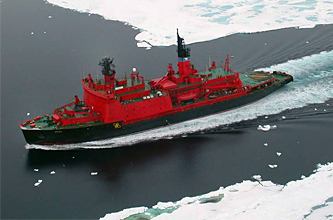 The passage is navigable during the early summer to fall for Russian icebreaker ships with the aid by air reconnaissance and radio weather stations. Although the route was exclusive to Russian ships until recently, the German commercial vessels made the first voyage to sail through the passage. One of the primary benefits of the Northern Sea Route with the decrease in Arctic Ice is its great short cut on journey. Compare to the conventional route which goes through the Indian Ocean and South Africa, Northern sea route can cut approximately 7,000 Nautical miles. This does not only shortcut the days, but also cuts on fuels, and CO2 emissions. Considering the fact that sea transportation accounts for more than 90% of cargo transportation around the world, short cut routes via the Arctic Ocean would be likely to bring larger benefits to the world's economy. It can contribute to the safety of the voyage as well. 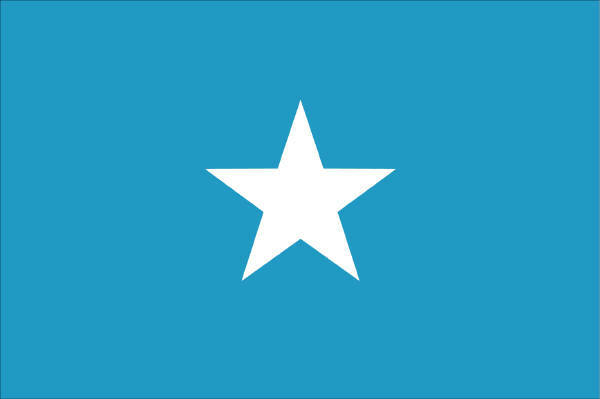 With the contemporary sea route between the Europe and Asia through the Suez Canel, ships had to go through the coast of Somalia, where the frequent piracy attack is taken place. 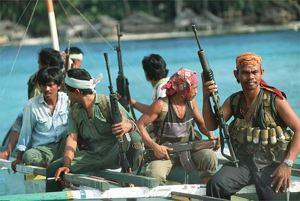 Northern Sea route enables ships to avoid the piracy areas while shortcutting their journey. The other benefit of the Northern Sea Route is its possibility to broaden the human activities in the Arctic region. These activities includes the operations in untouched fisheries, and the development of undersea resources. According to the map below, which was released by the US Geological Surveys, the majority of Arctic oil is likely to be found under the water, on continental shelves. There were several plograms during the late 20th century to develop and utilize the Northern Sea Route, such as the INSROP (International Northern Sea Route Programme), but the country's attention increased in very recent years. The passage is expected to increase it's impact and attetion with the further development of the route and discovery of the natural resources. 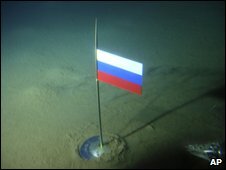 Russia : Most of the areas of the Northern Sea route is in the Russian terriroty. Also, claiming for the exclusive sovereignty over the resources. Multinational Cooporations : Considering both the sea line and the resources as an great business opportunity and interested in developing the Arctic regions. The reduction in ice during the summer of 2007 is the most striking chance in the Arctic. The ice decreased by 39% from the 1979-2000 average. During the summer 2008, both northeast and Northwest Passage became ice-free for the first time in the record. Some even expects that the Arctic will become free from ice during the summer starting as early as 2013, and become completely ice free throughout the season by 2037. These numbers shows how dramatic the Arctic regions are getting impact of climate change. 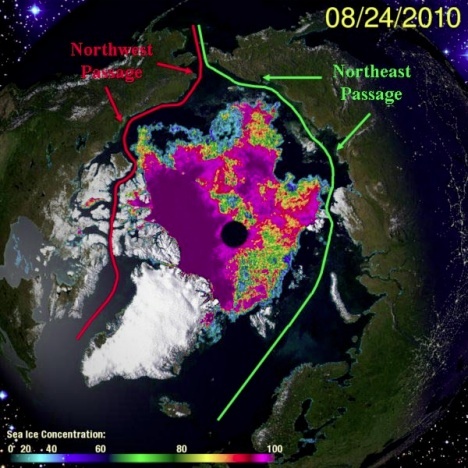 During the summer 2010, both the Northwest Passage ad Northeast Passage became ice free again. When the Arctic ecocytems are alrady largely damaged by the climate change, development of the passage could add another threads to the local environment. The frequent traffic of the large vessels could destroy the habitat of the precious animals or sea spices. 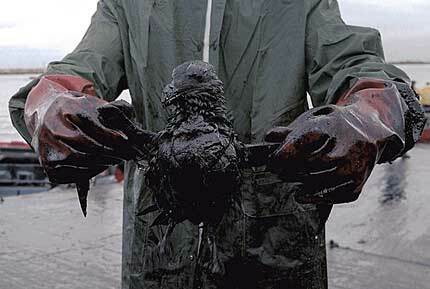 Also, the exploration of resources, especially the development of the oil field could trigger the tragedy such as the oil spills, which destroyed the entire Gold of Mexico in the BP oil spill case. Although the current level of tension is low to middium, the cuntries around the Arctic ocean is giving wary eye on Russian actions. High: Once the conflict breaks out, high level of fatalities are expected. Melting of Arctic ice enables the exploration of Arctic resources, and they have positive influences on the economy. However, possibility for the territorial dispute and the diplomatic tension among the countries will increase, and it could lead these countries to the conflict. There is not outward results on this event yet, but the tension over the sovereignity of the natural resources are increasing.